The Jets are arguably the most surprising team this season. After being projected as one of the worst, the Jets are in playoff contention, and there is one big reason why. The “Sons of Anarchy.” The defensive line for the Jets, comprised of Muhammad Wilkerson, Damon Harrison, and Sheldon Richardson, has tortured quarterbacks and offensives in general with the pressure they’ve put on QBs. The offense should also get a lot stronger this week with WR Santonio Holmes and TEs Jeff Cumberland and Kellen Winslow returning from injuries (suspension for Winslow). The Buccaneers may have looked bad most of the year, but the past few weeks, they have started to look like a decent team. The Falcons, on the other hand, are the most disappointing team this season, going from Super Bowl favorites to the favorites for a top 5 draft pick. The Buccaneers have looked like a good team since Mike Glennon took over at QB. The one thing they needed was a W. They got that last Monday versus the Dolphins, and the momentum should continue into this week. The Lions have looked very strong the past few weeks. We can say this over and over again. 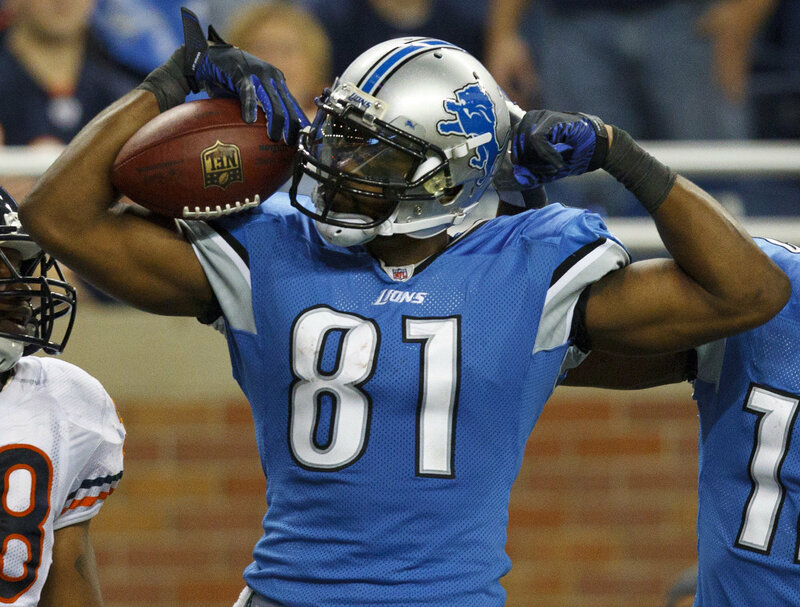 Matthew Stafford has looked very strong, a big thanks to WR Calvin Johnson. The Lions new two-headed rushing attack of Reggie Bush and Joique Bell has been stellar. If anything goes wrong with the Lions offense against the tough Steelers defense, the terrible Steelers offense should help them out. There has been no running game from the Steelers and QB Ben Roethlisberger hasn’t looked great either. The Lions should have ease in taking this game. The Eagles are on a nice hot streak. Nick Foles has looked great in the past few weeks and so has LeSean McCoy in the running game. Meanwhile, the Redskins are exactly where they were last year. 3-6 last season, the Redskins racked up a 7 game winning streak to win the NFC East title. The Redskins are once again 3-6 and things are once again looking gloom. A miracle happens once, not twice, and not this year. The Cardinals are another team in the running for most surprising team this season. Their most surprising player is RB Andre Ellington, who is averaging 7.2 yards per carry, is still sharing time with Rashard Mendenhall, but still taking advantage of his time and showing why he deserves to be seriously considered as a decent RB in the league. The Jaguars are still one of the worst teams in the NFL despite upsetting the Titans last week. Don’t expect that fact to change against a tough NFC opponent. Isn’t it about time that Case Keenum got his first victory as a starting QB in the NFL? He has played fantastic since getting the job, holding a 105.1 passer rating and throwing 7 TDs with no interceptions. The Raiders have their own QB issues. Starting QB Terrelle Pryor is out with a knee injury, prompting the first start in the career of Matt McGloin. This is a very interesting matchup of previously undrafted QBs starting against one another. The Bears have a nice situation in which they can trust their backup QB when Jay Cutler gets injured. Josh McCown has been quite successful this year, throwing for a 60% completion percentage and a 103.2 passer rating. The Ravens still don’t look that great and against a tough Bears defense, that fact shouldn’t change. The Browns haven’t played two games against the Bengals in a season since 2002. That fact may change with the way both teams have been performing recently. Since putting on an offensive show versus the Jets in Week 8, the Bengals have dropped two straight games against teams they should have dominated (Dolphins and Ravens). Now they play another division rival and need things to change before their bye week with a struggling Andy Dalton. The Browns have a chance to shock everyone with a win this week. They are in second place in the AFC North and have a chance to be one game back after this week. QB Jason Campbell has been very successful since taking over in the Cleveland QB debacle. The Chargers are another team on the rise and surprise this season. QB Philip Rivers is having a comeback season with 18 TDs to 7 interceptions and a 105.9 passer rating and looking like the Rivers of old back when the Chargers were a regular playoff favorite. The Dolphins also looked like they were on the rise until they lost to the previously winless Buccaneers on Monday Night, not even showing up in the first half and looking dreadful all night. The Giants may be the luckiest team in the league at the moment. After starting off 0-6, the Giants have taken down 3 straight either bad or injury riddled teams. This week, they get another injured and limping team with the Cheese heads. The Packers not only lost QB Aaron Rodgers, they lost their backup QB Seneca Wallace to injury last week. Scott Tolzein is making his first career start and he won’t have the Packers best check down target/tight end Jermichael Finley, who had spinal fusion surgery since being put on the IR, possibly ending his career. The Giants are getting very lucky. Don’t expect that to last much longer though. The Seahawks were looking like they were on the decline, playing close games against not great opponents, headlined by having to squeak out an OT win versus the Buccaneers. They finally came back last week in an absolute destruction of the upsetting Falcons. Expect that to continue because the Seahawks are a top team with a top defense and a solid offensive attack against a horrible Vikings team who have not much upside. The 49ers are very strong and arguably still underrated after losing such a tight game against the Panthers last week. QB Colin Kaepernick is back to being a top QB after a weak start to the season. The defense is also very strong, as shown last week when they held a strong Panthers offense to only 10 points. The Saints are very strong too, but tough defenses haven’t had that much trouble in stopping them. That fact should stay the same this week. The two top teams in the NFL going against each other on Sunday Night. What more can anyone ask for? The Chiefs and their top defense in the NFL are going face to face with the Broncos’ top offense. The Chiefs are arguably the worst 9-0 team ever, that being that they haven’t played anyone with a winning record. But at the same time, the Broncos have only played one team with a winning record in their only loss of the season to the Colts. Peyton Manning is still the best QB in the league and that should propel the Broncos to victory in this AFC West showdown. The Panthers are arguably the hottest team in the NFL right now. They have the 2nd best defense and their offense is just getting better and better. The Patriots are still the walking wounded on the defensive side and Tom Brady has looked awful this entire season. Don’t bet against the hot streak. Carolina should be able to bring home the W in this week ending primetime showdown.